Iran's elite Revolutionary Guards said it will soon deploy a domestically manufactured drone capable of carrying out air strikes. 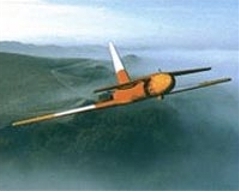 "The super advanced bomber drone, manufactured by the Revolutionary Guards, will be operational in the second half of this year," Guards Brigadier General Amir Ali Hajizadeh said referring to the Iranian year ending March 20, 2011. He did not give details on the aircraft. Iran's drone technology has caused concern in the United States, with Pentagon Defense Secretary Robert Gates recently warning they could pose "difficulty" for the military in Afghanistan. In February, Iran opened two production lines for the manufacture of the drones, saying the unmanned aircraft would be capable of carrying out "assaults with high precision." Next PostFour A330 MRTT Well Underway!